On Saturday, a conference simultaneously held by Iranians in 40 different locations in three continents across the world called for international action against the increasingly hostile terrorist activities of the Iranian regime and its egregious human rights abuses at home. Titled “Halt mullahs’ regime growing human rights violations and export of terrorism,” the conference featured speeches by Iranian opposition leader Maryam Rajavi, political dignitaries from several countries and representatives of Iranian communities from across the world. The gatherings message: Adopt a firm policy toward the Iranian regime and support the aspirations of the Iranian people for change in their country. First, the clerical regime has no way and no solution to thwart its overthrow. And second, the theocratic regime’s strategy to survive a series of crises as we speak is further crackdown and suppression inside Iran, and more exporting of terrorism, war and tension to other countries. “Over the past year, the regime repeatedly tried to stifle the uprisings. 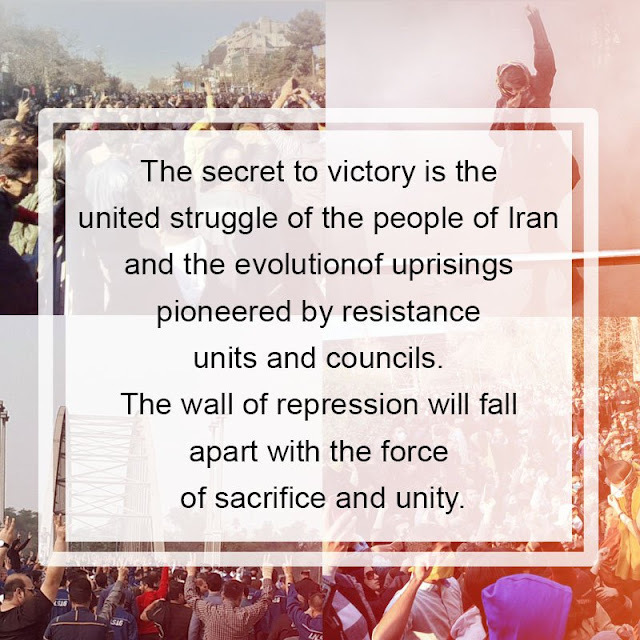 Every time, however, the embers started glowing from under the ashes,” Mrs. Rajavi said, referring to the nationwide protests that began in December 2017 and have continued intermittently. Mrs. Rajavi also pointed out that the regime has failed to contain the activities of Iranian resistance units and its efforts to conduct terrorist activities against Iranian opposition movement PMOI/MEK has caused an international backlash against the regime. “The product of such a political impasse has been a dramatic fall in the regime’s political, economic, social and international status,” Mrs. Rajavi remarked. Under the current political deadlock, the mullahs of Iran have resorted to several failed terrorist attempts abroad, Mrs. Rajavi said. 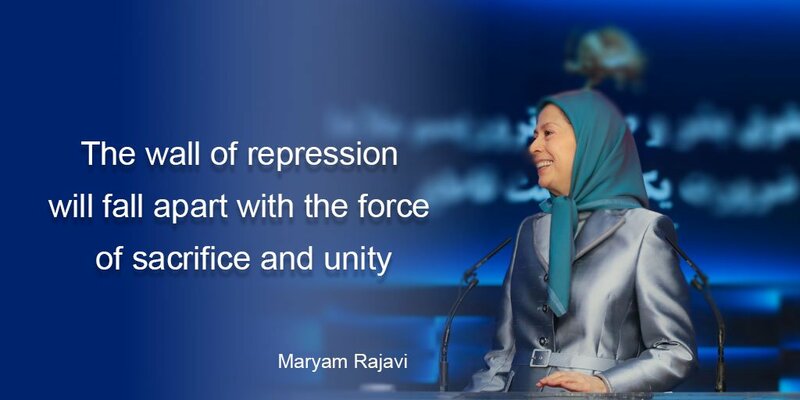 “the regime’s recourse to terrorism and other crimes is not a transient or tactical reaction, but a solution and an outlet in the regime’s strategy to survive and rein in its overthrow crisis,” Mrs. Rajavi stressed. 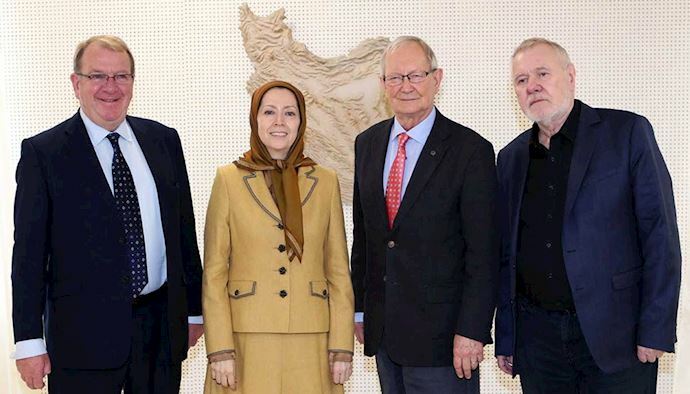 Mrs. Rajavi also remarked that the regime’s desperate resort to terrorism in Europe comes at a time that Tehran seeks to bank on the support of European states to dampen U.S. sanctions that recently came into effect. And contrary to what some analysts and politicians in the West who try to portray the regime’s terrorist acts as the doings of rogue elements, the terrorist plots are being directly orchestrated and ordered at the highest levels of the Iranian regime, including supreme leader Ali Khamenei, President Hassan Rouhani, foreign minister Javad Zarif and the Ministry of Intelligence and Security, the regime’s notorious terror and espionage apparatus. The testament to the fact is the arrest and expulsion of several Iranian diplomats who were directly involved in the regime’s foreign terror activities. “It is absolutely illogical to suggest that some acts of terrorism could be carried out arbitrarily, without the knowledge of Khamenei or Rouhani, in a regime that monitors all the minute details of people’s private lives. Such fictitious premises are intended to cover up the regime’s crimes and only further embolden them in resorting to terrorism,” Mrs. Rajavi said. Mrs. Rajavi called for a block on financial lifelines that fund Khamenei’s apparatus, the IRGC, the terrorist Ouds Force, and the regime’s repressive forces. She also called for the IRGC, the MOIS, and the regime’s state propaganda machine to be placed on the U.S. List of Foreign Terrorist Organizations and the terror list of the European Union. “Man Irani hastam - Man Ashrafi hastam” were the first words of former U.S. Congressman Patrick Kennedy. With protests increasing across the country, Kennedy emphasized how the Iranian regime has increased its terror activities abroad. The regime knows the protests are linked to the PMOI/MEK. Thus, Tehran has escalated its demonizing measures against this opposition organization. There has been a surge in terror plots against the Iranian dissidents, many foiled in Albania, France, and Denmark, he added. This mirrors their terror campaign back in the 1980s. The European Union should end all its connections with the Iranian regime as requested by the former Democrat Member of the U.S. Congress. Targeting the PMOI/MEK and NCRI as Iran’s democratic alternative proves the NCRI is a viable force for change, he added. This resistance has presented a real map for change and a democratic Iran. All of Iran’s wealth is being spent on terrorism and terror groups and all the while the Iranian people are in the worst possible economic conditions, Kennedy remarked. The Iranian embassy in Albania has doubled its size, Kennedy warned, adding all of Iran’s embassies in Europe are involved in Europe. “I support Mrs. Rajavi’s message saying the IRGC must be designated as a terror entity,” he added. Expressing his long-lasting support for the PMOI/MEK in his country, former Albanian prime minister Pandeli Majko noted the bright future he sees for Iran as the movement for freedom strives forward. “An honest question is that why is the Iranian regime’s embassy in Tirana while you are also in this country? The answer is that you are different because you represent the Iranian people and the future of Iran,” Majko said. The future of Iran and the Middle East will be under the leadership of Maryam Rajavi, he noted. There are diplomats acting as terrorists. Answers are needed in this regard. This melody heard in Tirana is the song of freedom, which should also be played in Iran. And here, you have realized a miracle by building this city [Ashraf 3] in less than a year, the former Albanian prime minister added. Former Colombian presidential candidate Ingrid Betancourt attended the convention and emphasized on the PMOI / MEK’s role in the opposition movement against the Iranian regime. “When I accepted the invitation to come to this convention, I insisted on being with PMOI/MEK members inside Ashraf 3,” she said. “In June, during a massive Iranian opposition convention which I was attending, we heard news of an Iranian regime terror plot targeting the rally, foiled by Belgian, German and French authorities,” Betancourt added, reviewing the terror plots pursued by the Iranian regime against the PMOI/MEK. “In parallel nature, the Iranian regime has been very active in attempting to tarnish the Iranian opposition PMOI/MEK’s image,” she noted. Betancourt remarked that terrorism has been in the nature of the mullahs’ regime, to impose fear in the Iranian society and abroad and now, they are using terrorism as a defensive tool to safeguard their interests. After the bombing plot in France, President Francois Macron adopted a position that is really a red signal of what is to come. He froze the assets of the Ministry of Intelligence in France, expelled people from the Iranian embassy and he was about to appoint an ambassador in Iran, which he decided against. “I think things are changing and am very hopeful and positive,” Betancourt emphasized. “The best option for Iran is here, being freedom with Maryam Rajavi. And now they are fearing that they will be brought to justice. This is our commitment. We will free Iran and will bring [the regime] to justice...Time has changed. You are the hope. Maryam is the leader and we are with you,” she added. Ghozali underlined that the solution to dealing with the Iranian regime’s terrorism not a military offensive or appeasement. “The regime will never stand by its promises. The only solution is to remove this regime,” Ghozali said. Underlining the importance of the protests that erupted across Iran at the turn of the year, Ghozali noted that in contrary to 2009, demonstrations in Iran were focused on elections, the recent demonstrations are focused on the Iranian leadership. If the West doesn’t understand the regime’s terrorism, they will never be able to root out terrorism from their countries, Ghozali concluded. The Iranian regime is very active in Albania, especially in malign measures, said former Albanian defense minister Fatmir Mediu. Tehran is spreading lies, especially through its embassy in Tirana. The more they adopt such measures, the more they prove how terrified they are of you. The main threats of the Iranian regime are terrorism, ballistic missiles program and its human rights violations said Senator Gerry Horkan from Ireland. The regime used the JCPOA to fund terrorism. Some politicians in Europe are supporting Iranian regime President Hassan Rouhani while the regime has intensified its terrorism in Lebanon, Yemen, Iraq and other parts of the Middle East. “This shows that there’s no moderation in the regime,” Horkan said. The regime’s situation in 2018 has two characteristics: The regime is trying in vain to quell ongoing protests while at the same time, the Iranian resistance is rising in popularity and influence, Horkan remarked. 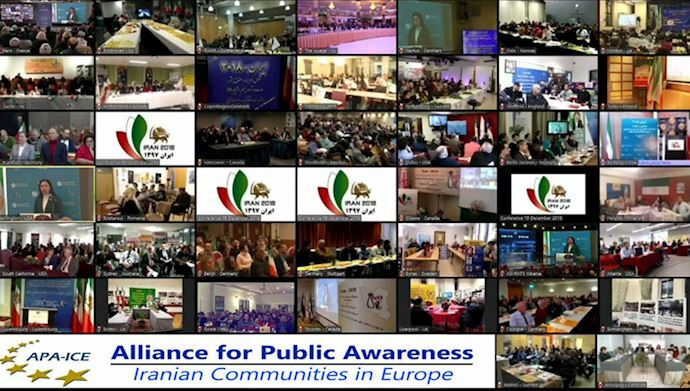 Members of the Iranian Diaspora, supporters of the PMOI / MEK living the United States, Canada and across Europe, held gatherings in 40 different cities and linked live to the convention in Albania and voiced their support for the alternative represented by NCRI President-elect Maryam Rajavi and the PMOI / MEK. Mr. Pandeli Majko expressed his pleasure at the progress he had seen in the construction of Ashraf 3, and the PMOI’s settlement in their new home. He stressed on the need to provide and guarantee their security. Mr. Patrick Kennedy expressed his delight on his first visit to Ashraf 3 and meeting with Iran’s freedom fighters. He added: I consider myself an Iranian and an Ashrafi. One of the best periods of my life has been when I supported the protection and security of Ashraf residents. 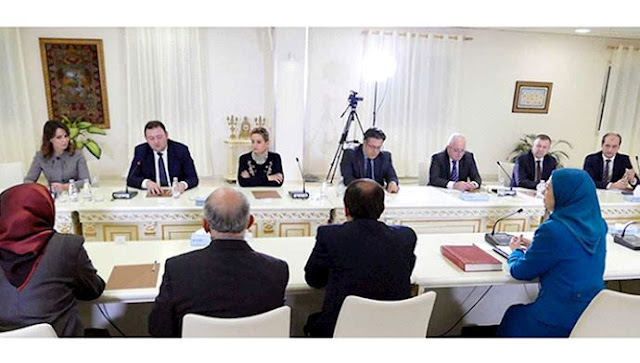 On Tuesday evening, December 4, 2018, an Albanian parliamentary delegation headed by deputy chair of the Albanian Parliament, Edi Paloka met and held talk with Mrs. Maryam Rajavi, president-elect of the Iranian Resistance outside Tirana, Albania. 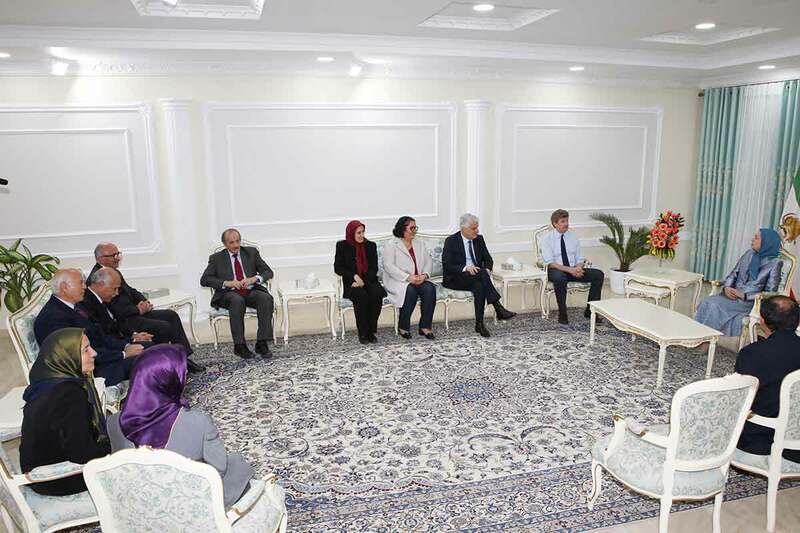 Nov. 26, 2018 - On Sunday, November 25, 2018, Mrs. Maryam Rajavi met in Tirana with a delegation from the European Parliament (EP) and discussed the situation of members of the People's Mojahedin Organization of Iran (PMOI/MEK) in Albania and the latest developments in Iran. The EP delegation included Mr. Tunne Kelam, member of the Foreign Affairs Committee and Vice Chair of Friends of a Free Iran inter-parliamentary group, Mr. Jaromir Stetina, member of the Foreign Affairs Committee and Vice Chairman of the Subcommittee on Security and Defense, and Mr. Struan Stevenson, coordinator of the Campaign for Iran Change.